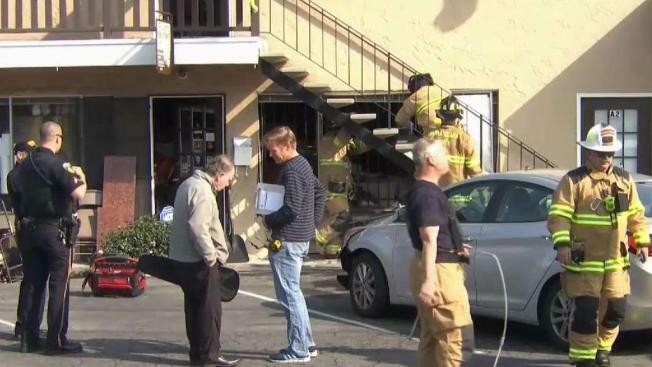 A Hyundai sedan crashed into the Fine Fretted String Instruments store in Campbell Saturday which caused a gas leak and an evacuation to nearby buildings. The evacuation was lifted before 11 a.m. and no serious injuries were reported. A vehicle accident forced buildings in Campbell to be evacuated due to a gas leak. Campbell police said a gray Hyundai sedan crashed into Fine Fretted String Instruments store on Bascom Avenue Saturday morning. The crash forced officers and the Santa Clara County Fire Department to close southbound Bascom from Hamilton to Campisi Way because of a gas leak, officials said. Police did not go into details about the gas leak but the evacuation was later lifted before 11 a.m. It wasn't immediately clear how many buildings and people were effected. The area where the incident occurred is near several other businesses including a hair salon, an African food market, a yoga studio and an animal hospital.